Contents Chapter 01: In the beginning. Chapter 02: Secrets. Chapter 03: Soul corruption IA Chapter 04: Soul corruption IB Chapter 05: Curse of three and the tales of Cupid. Chapter 06: The truth. Chapter 07: Mirror secrets. Chapter 08: Is there a price? Chapter 09: Cain's curse! Chapter 10: How it all began! Chapter 11: It went wrong! Chapter 12: Sacrifice! 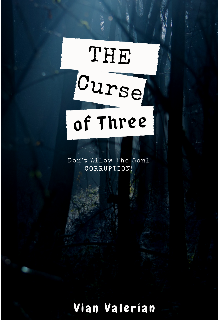 Description of the story "The Curse Of Three!" Follow the series of the thrilling adventures of the Wickinson brothers, who encounter a curse from their father that separates them with their witch abilities. But later one of the brothers, gets caught in a temptation of lifting the curse with acceptance of any consequences ahead of him! But the problem is, it wasn't really a curse. But a gift that was a curse to the villain hunting their family. Will the brothers be able to stop the villain after the curse has been lifted, and they get access to their magic!? Mark Pearson, Am Vian Valerian, by the way!